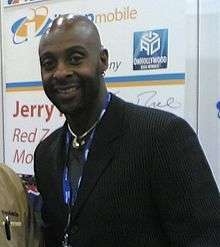 Jerry Rice, the 49ers' 16th overall selection in the first round of the 1985 draft. The San Francisco 49ers entered professional football in 1946 as a member of the All-America Football Conference. The team joined the NFL along with the Cleveland Browns and the original Baltimore Colts in 1950. The 49ers' first draft selection in the NFL was Leo Nomellini, a defensive tackle from the University of Minnesota; the team's most recent pick was Jimmie Ward, a strong safety from Northern Illinois University at number 30. The 49ers have selected the number one overall pick three times: Harry Babcock in 1953, Dave Parks in 1964, and most recently Alex Smith in 2005. In the first three years as an NFL team, the 49ers picked three consecutive future Hall of Famers in the first round: Leo Nomellini, Y.A. Tittle, and Hugh McElhenny; since then, the team has picked four more future Hall of Famers in the first round (Jimmy Johnson, Lance Alworth, Ronnie Lott and Jerry Rice), making it seven in total. 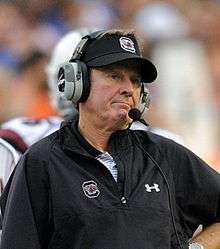 Steve Spurrier is the only Heisman Trophy winner to ever be drafted in the first round by the 49ers. Drafted in 2007, Patrick Willis was named the AP Defensive Rookie of the Year. 1 2 3 4 Pick acquired from the Pittsburgh Steelers. ↑ Pick acquired from the Baltimore Colts. ↑ Pick acquired from the Cleveland Browns. ↑ "Heisman Trophy". Archived from the original on December 17, 2008. Retrieved January 27, 2009. ↑ Pick acquired from the Atlanta Falcons. ↑ Pick acquired from the New Orleans Saints. ↑ The 49ers traded their 1976 1st-round pick, their Houston Oilers 1976 1st-round pick, their 1977 1st- and 2nd-round picks, and quarterback Tom Owen to the New England Patriots for Heisman Trophy winner Jim Plunkett. NFL 2001 Record and Fact Book. New York: Workman Publishing Co. p. 257. ISBN 0-7611-2480-2. ↑ The 49ers traded their 1978 2nd- and 3rd-round picks and their 1979 1st- and 4th-round picks to the Buffalo Bills for running back O.J. Simpson. ↑ The 49ers traded their 1980 1st-round pick to the New York Jets for two 1980 1st-round picks. ↑ The 49ers traded their 1982 1st- and two 2nd-round picks to the New England Patriots for their 1982 2nd-round pick and tight end Russ Francis. ↑ The 49ers traded their 1983 2nd-round pick and gave the option to trade their 1983 1st-round picks to the San Diego Chargers for defensive end Fred Dean. Later, the 49ers traded their 1983 1st-round pick to the Chargers for their two 1983 2nd-round picks. ↑ The 49ers traded their 1985 1st- 2nd- and 3rd-round picks to the New England Patriots for their 1985 1st- and 3rd-round picks. ↑ The 49ers traded their 1986 1st- and 5th-round draft pick to the Dallas Cowboys for their 1986 1st-round pick. The 49ers then traded the Cowboys' 1986 1st-round pick to the Buffalo Bills. ↑ The 49ers traded their 1988 1st-round draft pick to the Oakland Raiders. ↑ The 49ers traded their 1994 1st- and 7th-round picks to the Dallas Cowboys for their 1994 1st- and 2nd-round picks. ↑ Pick acquired from the Atlanta Falcons through the Cleveland Browns. ↑ The 49ers traded their 1995 1st-, 3rd-, and 4th-round draft picks and their 1996 1st-round draft pick to the Baltimore Ravens for their 1995 Atlanta Falcons 1st-round pick and their 1995 1st-round pick. ↑ The 49ers traded their 1999 1st- and 5th-round picks to the Miami Dolphins for their 1999 1st-round pick. ↑ The 49ers traded their 2000 1st-round pick to the Washington Redskins for their two 2000 1st-round picks. The 49ers 12th overall pick was then traded to the New York Jets for their 2000 1st- and 2nd-round picks. ↑ The 49ers traded their 2001 1st- 3rd- and 7th- round picks to the Seattle Seahawks for their 2001 1st- and 6th-round picks. ↑ The 49ers traded their 2004 1st-round pick to the Philadelphia Eagles for their 2004 1st- and 2nd-round picks. The 49ers then traded their 2004 Eagles 1st-round pick to the Carolina Panthers for their 2004 1st- and 4th-round picks. ↑ The 49ers traded their 2006 2nd- and 3rd-round picks to the Denver Broncos for their 2006 1st-round pick. ↑ The 49ers traded their 2007 4th-round pick and their 2008 1st-round pick to the New England Patriots for their 2007 1st-round pick. ↑ The 49ers traded their 2007 2nd-round pick to the Indianapolis Colts for their 2007 4th-round pick and their 2008 1st-round pick. ↑ The 49ers traded their 2016 2nd-, 4th-, and 6th-round picks to the Kansas City Chiefs for their 2016 1st-round pick. "49ers First-Round Draft History". NFL.com. Retrieved January 27, 2009. "Hall of Famers by Franchise". Pro Football Hall of Fame. Archived from the original on August 22, 2008. Retrieved January 27, 2009. "Professional Football Draft Pick Transactions". CTS Co. Retrieved January 29, 2008.